We use the most appropriate technologies to implement solutions and transform your ideas into reality. Enhance you business profile with our web, mobile, ecommerce & software development services. We provide expert web and mobile app development, with full stack experience. We build apps that positively impact your business and bring your specifications to life, with professionalism and expertise. We offer custom App Development Services catering to clients ranging from Startups to Enterprises. We offer bespoke, yet timely, Mobile Apps for iOS, Android and Windows platforms via native, hybrid and PWA platforms. We have successfully delivered thousands of projects and are driven by the simple rule: deliver exceptional service with high quality. We offer bespoke technology solutions for mobile and web applications using legacy and modern development technologies. We deliver Website, Mobile Application, Branding Strategy & Digital Marketing Services. Our specialities include Objective C, Swift, Java, Android SDK, ionic framework API integration, LAMP stack, MEAN stack and more; Front-end Web Development, Databases. We develop Websites, Mobile Apps, eCommerce Websites, Software and Web Applications. We offer full stack development services and build customised apps for native, hybrid and PWAs covering android, ios/apple and web. We offer web services, application solutions and mobile app development. We also offer Sales force implementation cloud computing development, mobile application development, Facebook application development, Twitter API, web development and Sharepoint. We offer the full spectrum of development services and enterprise level mobile apps developed in native frameworks - iOS, Android and Windows - to apps developed in cross-platform technologies like Xamarin (C#), React Native (JS), Cordova, PhoneGap, Unity or Titanium. Research, shortlisting and end-to-end management of minimum viable product (mvp) specialists, for your project. The system was very useful, saving time and effort. Being able to select from a shortlist of pre-qualified suppliers saved us a lot of time on this project. Very impressed with the response. The speed of response and quality of proposals meant that we could confidently choose the right one. M. Ashton A1 Chauffeur services. After about an hour, we were contacted. Choosing the right supplier was fast and easy. Laura Mann Brooks Macdonald Asset Mgt. Over the years we’ve been exposed to thousands of large and small project tenders. During that time, in addition to applying standard best practices, we've been fortunate to learn more tips and tricks to avoid costly mistakes when selecting the right development teams. Think about what your organisation actually needs in order to achieve your specific objectives. Discuss this internally and with business acquaintances; build some flexibility into your selection schedule. You may find that your initial short list criteria needs to be amended or you may find that you need more than one firm to deliver against a key objective. In many cases it may be beneficial to engage multiple firms to make sure that you have the best resources. Think about the role of project management and how much time and resource you could save by engaging a project manager. See our blog articles for more information. Call to speak with us and learn more about how we combine top 3% developers with our end-to-end management approach to deliver fixed price and affordable mobile and web apps. 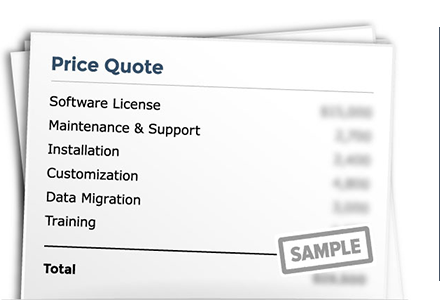 Get your free price quote for Snapforce CRM. Save time, effort and cost - we do the legwork. Thousands of businesses use G2Guide to get professional quotes from the right qualified experts and to get high quality projects delivered on time and within budget.